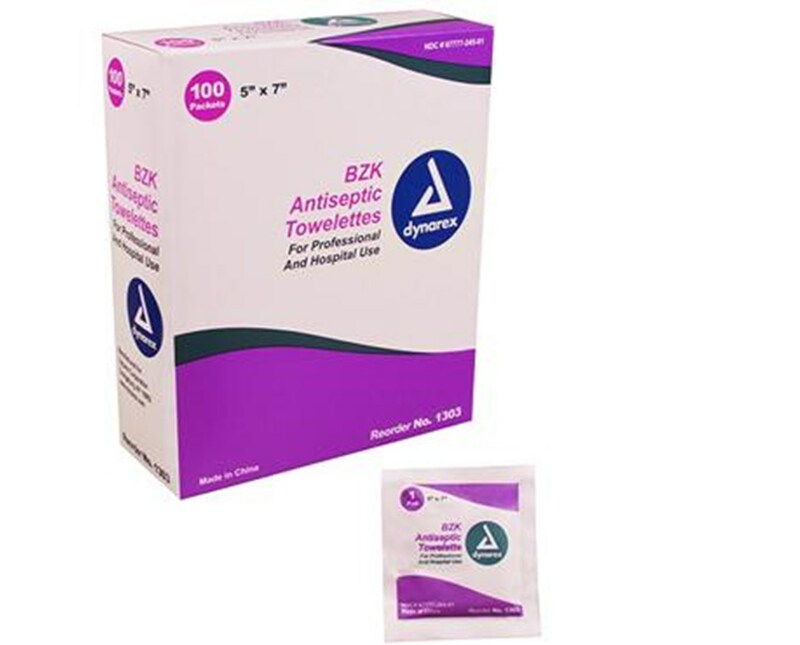 Dynarex Bzk Antiseptic Towelettes are alcohol free and non-stinging. Perfect for an effective cleansing wipe. This wipe is great for perineal and maternity care. Also good for clean-catch urine collections. The convenient 5" x 7" size makes it just big enough to get the job done without being cumbersome. 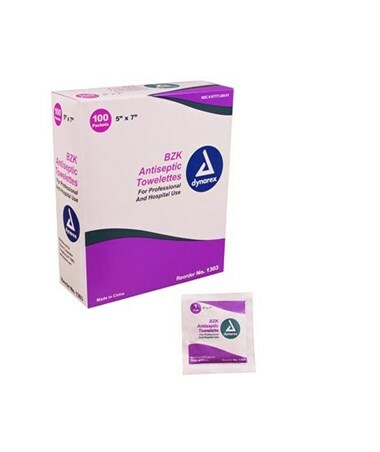 Contains benzalkonium chloride solution 1:250, to yield 1:750.